Umbrella agreements are used to try and cover future possibilities that the negotiating business parties presume will occur. Umbrella agreements are basically a contract framework with terms and conditions that take in potential possibilities within a contract’s lifetime and beyond. When negotiating umbrella agreements there should be give and take by parties and each party should be happy with the final agreement before signing. Business negotiators are well aware that setting out a set list of terms and conditions within a contract is an intricate process. Umbrella agreements can be used as guidelines to any future contractual choices. Umbrella agreements are not usually concerned with immediate contract terms and conditions but those that may occur in the future. The guidelines will act as the principle rules when it comes to setting out future contracts. Are Umbrella Agreements Legally Binding? Whether or not umbrella agreements are actually legally binding documents is quite a grey area. In some cases they are seen as legal contracts but it will depend on how much detail has gone into the agreement. Umbrella agreements work on a principle of uncertainty and unless the agreement is fully formed then a court may not always enforce these contracts. Umbrella agreements are a very useful part of business management for companies that do not want set contract terms and conditions. 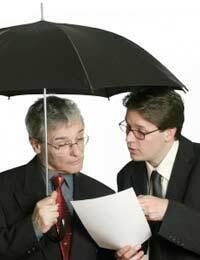 Many businesses see undefined umbrella agreements as useful “get out” contracts. However if the terms and conditions are defined then there may be no reason why umbrella contracts would not be upheld in a court of law. Umbrella agreements are designed to be flexible but in certain cases they can still be enforced in a court of law if a party is found to be in breach of contract. More flexibility for future contracts. Eliminates the need for immediate contracts and simplifies the contracting process. Reduction in time and effort of single contracts with the knock on effect of cost saving. Widens future business opportunities for both parties without restrictive terms and conditions. When umbrella agreements are drafted they do more than just set out guidelines and principles for future contracts. These agreements will act as indicators for how each party sees their relationship with the other. When negotiating an umbrella agreement both parties should try to set in place certain basic conditions while leaving open the terms for possible future negotiations. Both parties should set out in detail how they will interact with each other in future business dealings. There should be some certainty on how present business will be conducted but also recognition of changing business opportunities and conditions in the future. There are no hard and fast terms and conditions in the drafting of umbrella agreements, but both business parties should be happy with the final outcome. There should also be no balance in favour towards any of the parties involved in the agreement. If a business is looking for set in stone contract regarding terms and conditions then an umbrella agreement may not be the way to go. These agreements are designed specifically to be flexible with future business dealings. However if drafted properly these contracts can bring a better understanding of how businesses relate towards each other and can open up future business transactions without restrictive terms and conditions. I really being confused of using umbrellas contract whithout details termsand condition. Particularly for the current work not future work. Any contracts have a change control mechanism why we dont use that instead of umbrella contract. What is the diffrence between umbrella contract and frame agreemnt and memorandum of understanding?